The Norse Projects classic button down shirt is made from a mid-weight three-ply Oxford cloth, woven in Portugal. Features include mother of pearl buttons and one button-close chest pocket. 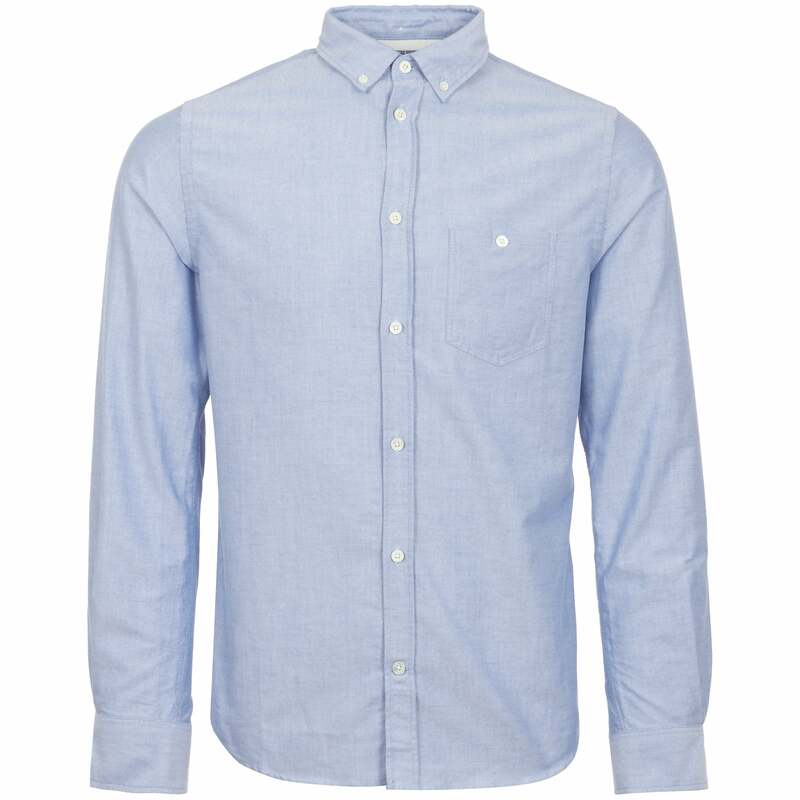 Higher top button on placket, allowing the top button to be undone while still maintaining a clean look. Complete the look with a pair of chinos from NN07.